On this page you can read about our 2009 mission. We will try to give a daily update, illustrated with some images. 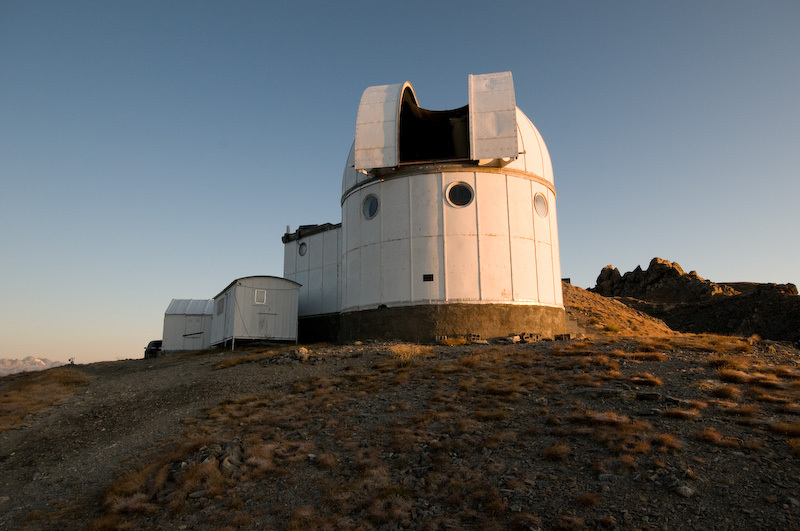 We are in the last days before our departure to the observatory of Saint-Véran. The normal preparation stress comes up. 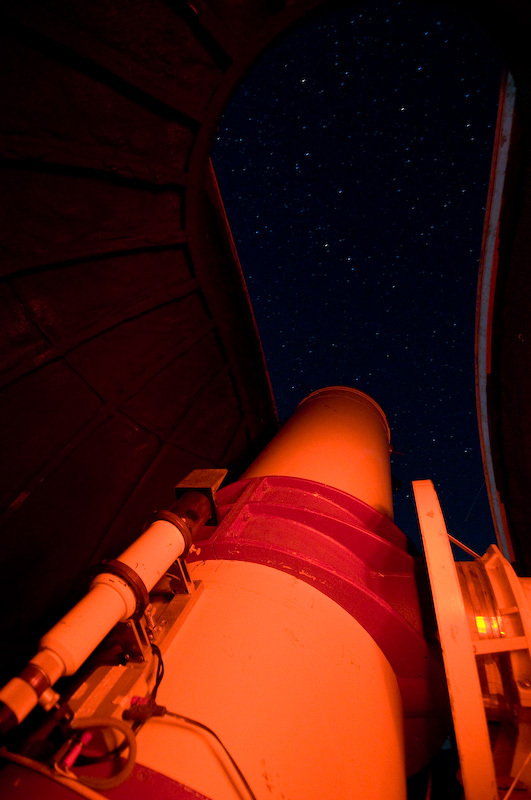 We will go to the observatory on Saturday the 12th of September. Now, I will go in bed for a few hours of sleeping. 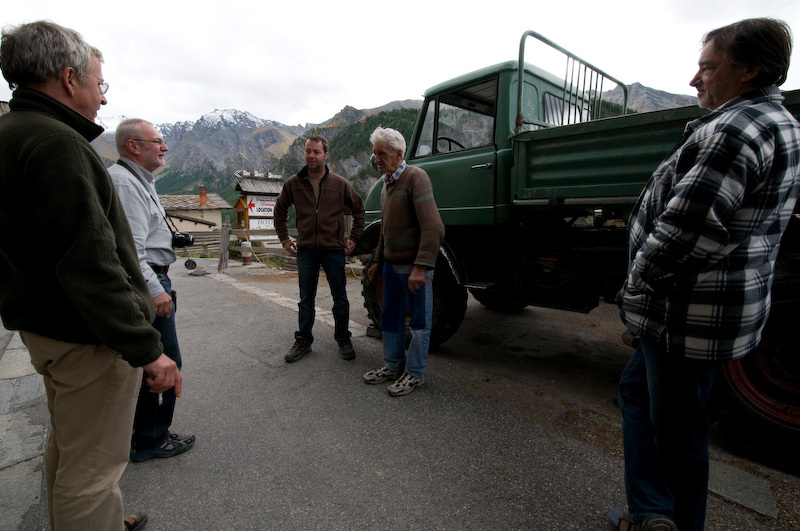 After a full day driving, we arrive at the Saint Veran village. There starts the last, but most hard, part of the voyage. The last 13km brings us 1000m higher to the observatory, but the route is not of the same quality as one usually expects. It's raining now, so that will not simplify the situation. But without huge problems, we arrive at the observatory. 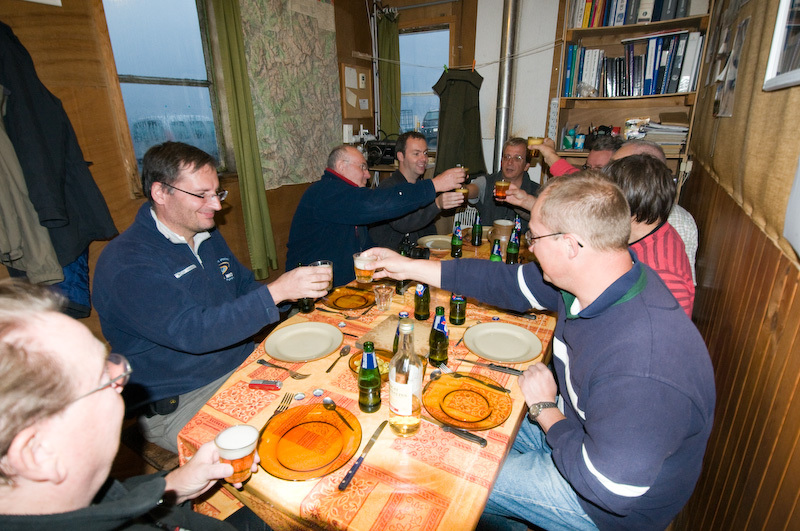 The previous team is still above, to welcome us with a fine dish : the famous tartiflette. Thanks team SAH! The sky is clouded, so we decide to go to bed early. The evening dish of today is the classical and delicious Lisettes spaghetti Bolognaise. 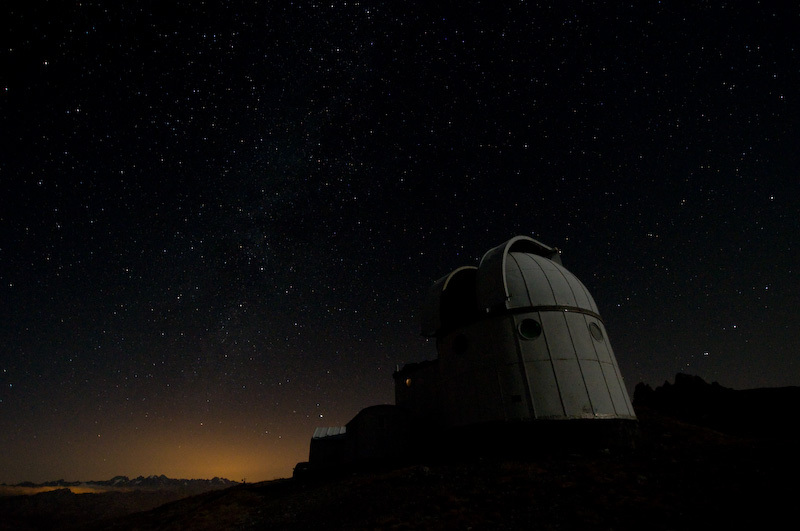 After some hours, the sky is full with stars and we can start the observations. We are happy!!! Outside, we start the observations with our proper instruments : visual observations with dobsonians telescopes. 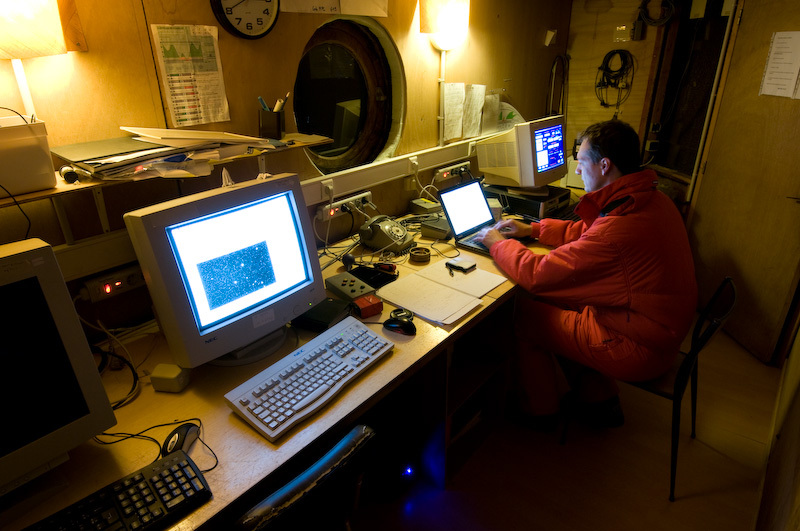 The T62, the large telescope of the observatory, is equipped with a ST8e CCD-camera to do some photometry of the asteroid (93) Minerva. 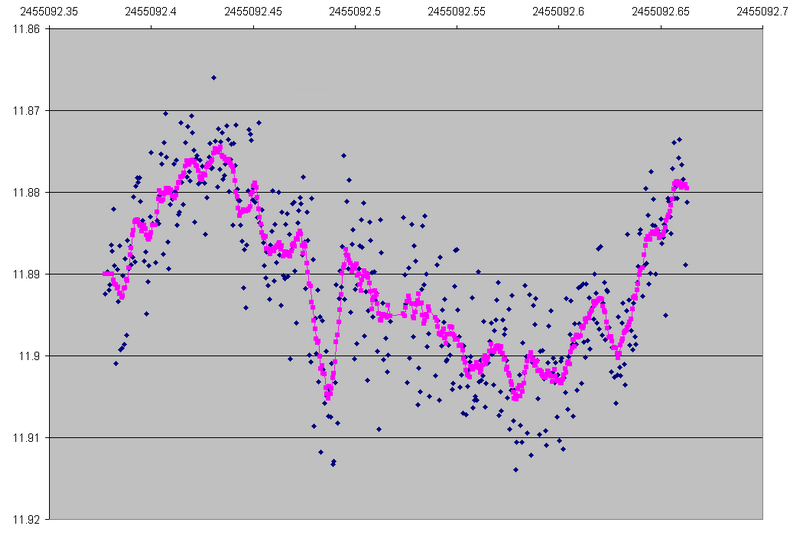 We will measure the light curve of the full 6 hours rotation, so that we can afterwards help to define the shape of the surface of this asteroid. Hopefully, the sky will stay clear. The first light of the sun for the observatory. 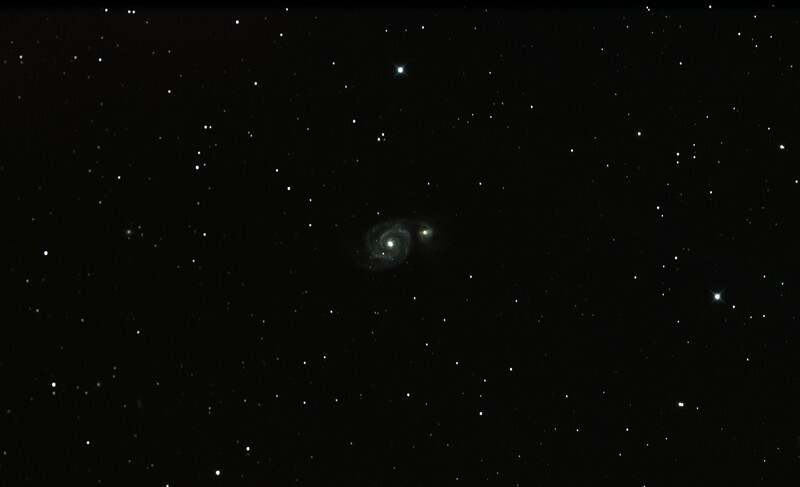 We finalize our observing night by taking some flat images. 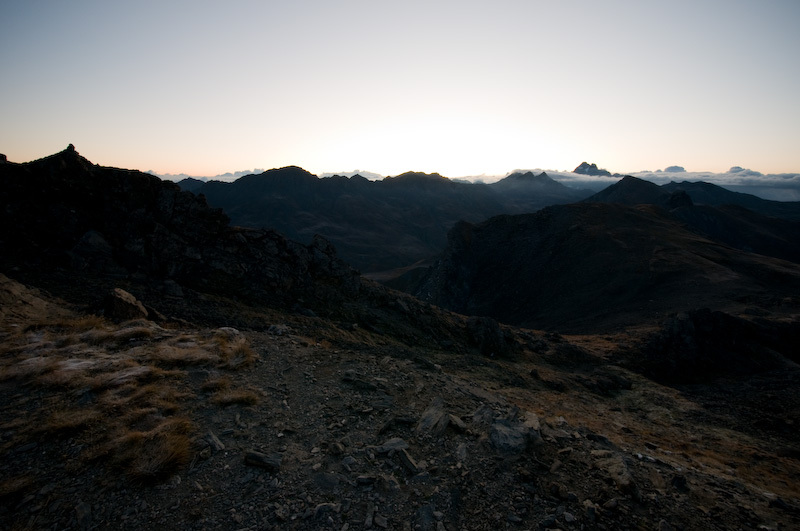 A panoramic image of the mountains of the Ecrin region in the morning sun. Its 8 o’clock in the morning, time to go to bed. Unfortunately, the clouds above Italy came to us. The whole day was cloudy and it didn’t change during the night. Snow! 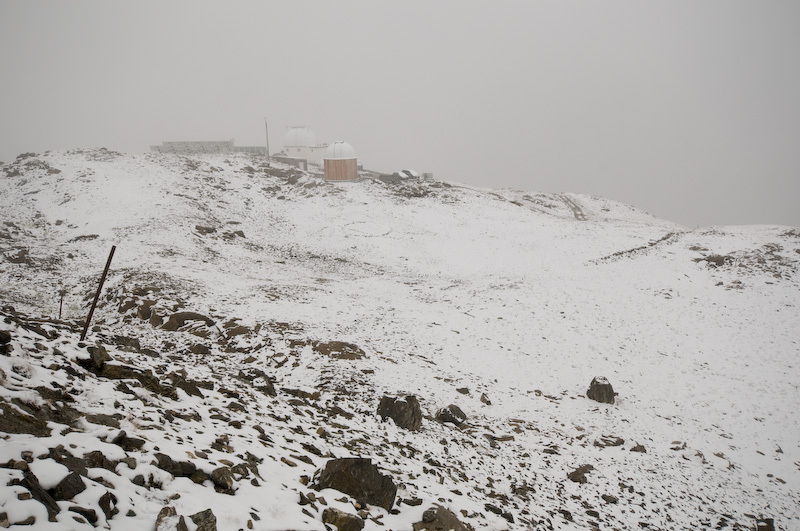 We will end our summer with winter conditions. 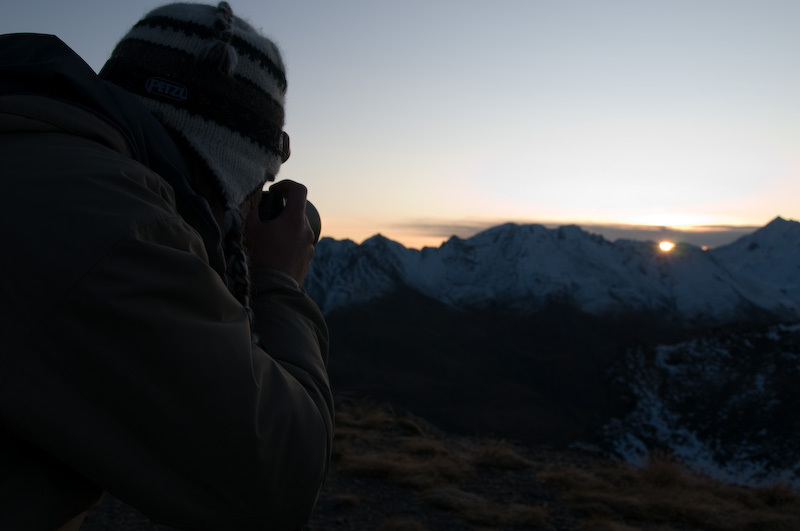 We have to be fast to enjoy our winter walking today, because the weather forcast foresees higher temperatures in the coming days. 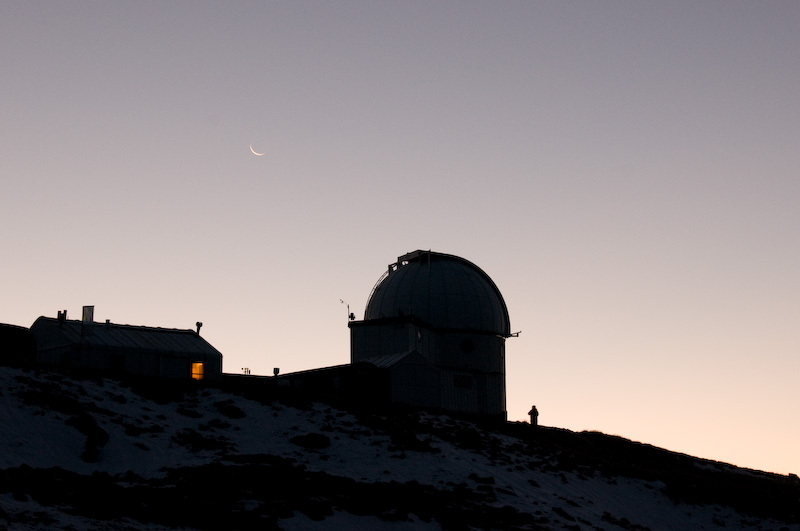 You can follow the local situation via the website of AstroQueyras, including a webcam. Of course this situation is not what we like to have for our astronomical observations. Some improvements are foreseen the coming night. 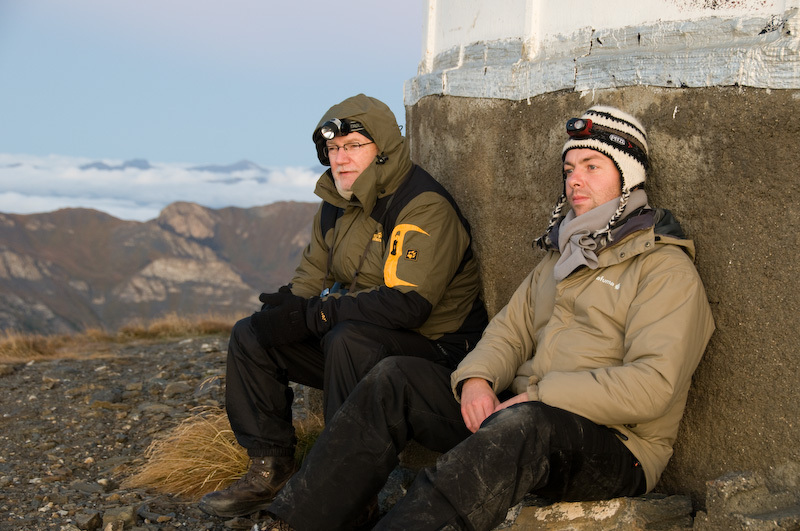 The weather improved somewhat today, so that we have some hope for observations during the night. Well we indeed did see stars, but frequently interrupted by clouds. 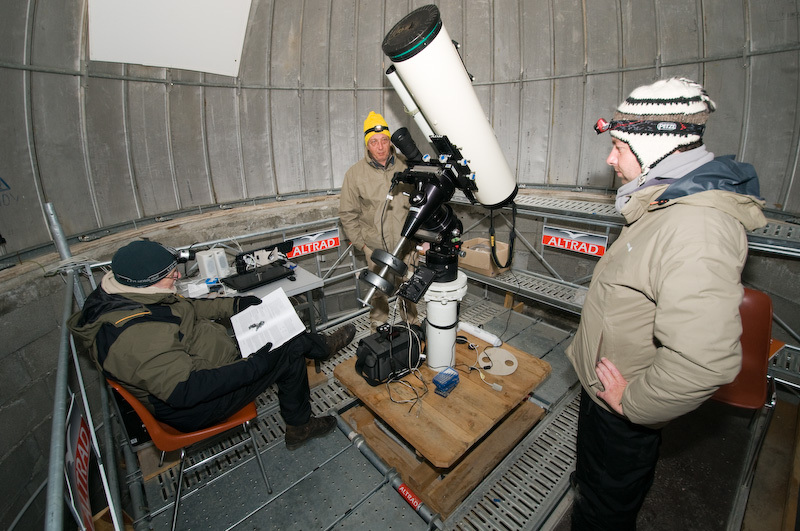 It is the ideal weather to initialize and prepare the telescope in the second dome. For tomorrow night, a clear sky is announced…. The last minutes of the night. Now we can go to bed. Finally the sun! 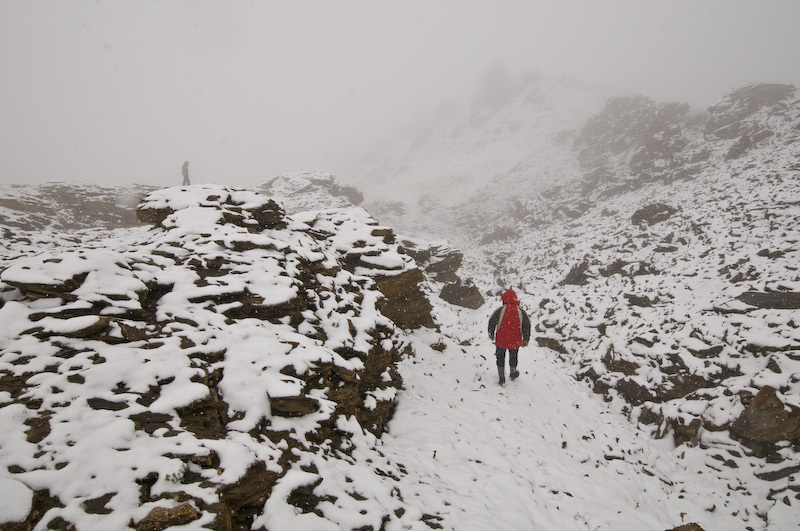 The snow disappears and our hope for a good night grows. As usual we do not have to complain about the food. 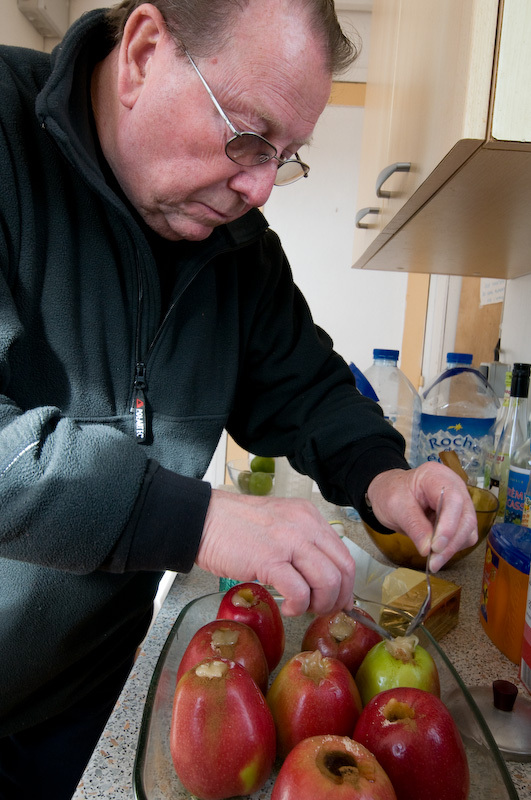 Our ‘maitre d’hotel’ is preparing his famous dessert. You have to try it! We can enjoy a beautiful sun-set before we can start the observations. 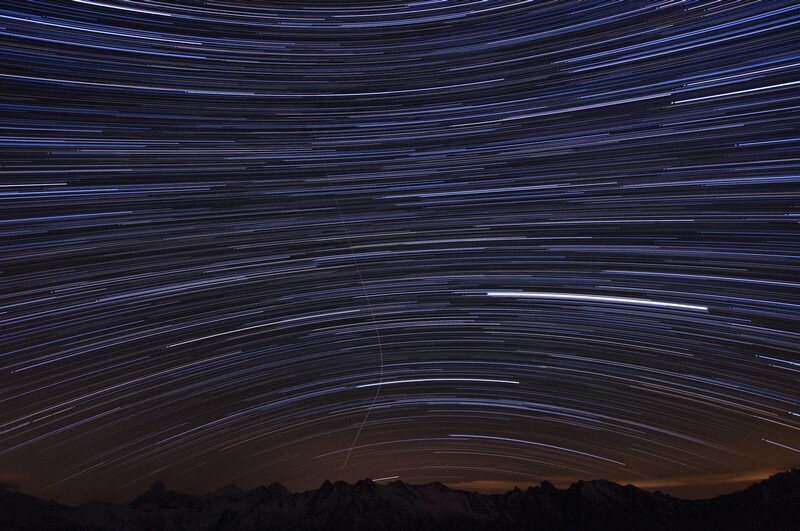 At 3 o’clock in the morning, the wind becomes too hard to continue the observations and it also brings some clouds. Its time to go to bed. CORRECTION: After some time, the wind calms down and also the clouds disappear, so that we can continue with our observations. Our beds have to wait for a while... 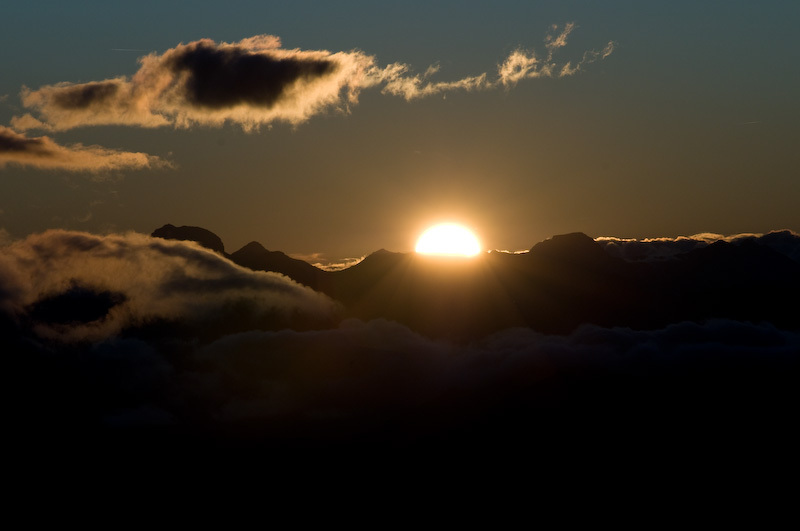 In the end, we observe until dawn and even enjoy the sun rise. Due to the cloudy weather announced for tonight, we decide to end the mission today. 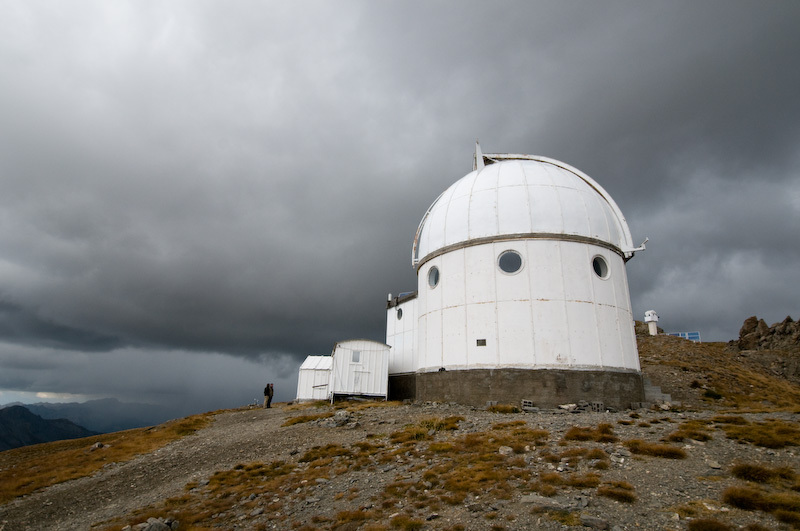 Cleaning the observatory, putting everything in the car and then going down to the village of Saint-Veran. We bring a last visit to Jo, the 'pied-à-terre' for the observatory. After a small chat with Jo, we continue out voyage towards Belgium. Our mission ends here, and so does our journal. I wish to thank you following our mission via this webpage and hope to see you back next year. But keep an eye on this page, because when the (few) results become available, I will put them here on this page. Bye Bye!